I must be being silly because I can't work this one out. 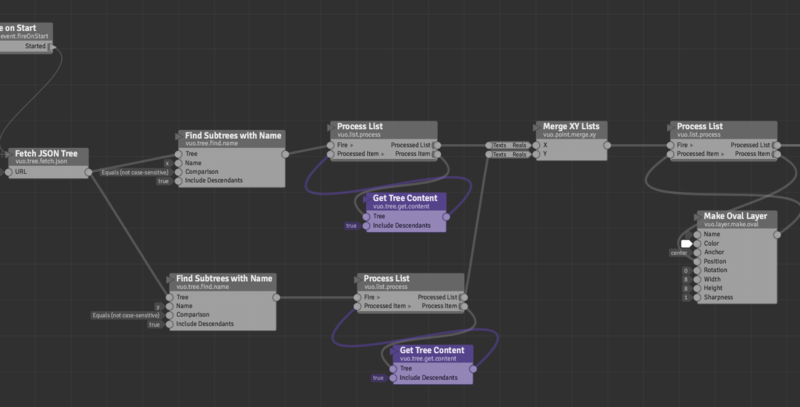 Using the [find subtrees with name] I can see the content but how do I get at it, how do I merge the lists? Think I may have it, but it's a bit slower than expected, am I going about this in the right way? Maybe if you use "copy layer" instead of a second "process lists" node to parse the XY values it would be faster ? Maybe Iteration: Turn most nodes into iterators by allowing single-value ports to accept lists will also be faster for this. Yeah, and again, maybe "Copy Layer" will be faster than Process List too. And you also have your layers size set to 8. 100 layers with an 8 width & height could be pretty heavy anyway I guess. Yes maybe encoding the values in another way could help. 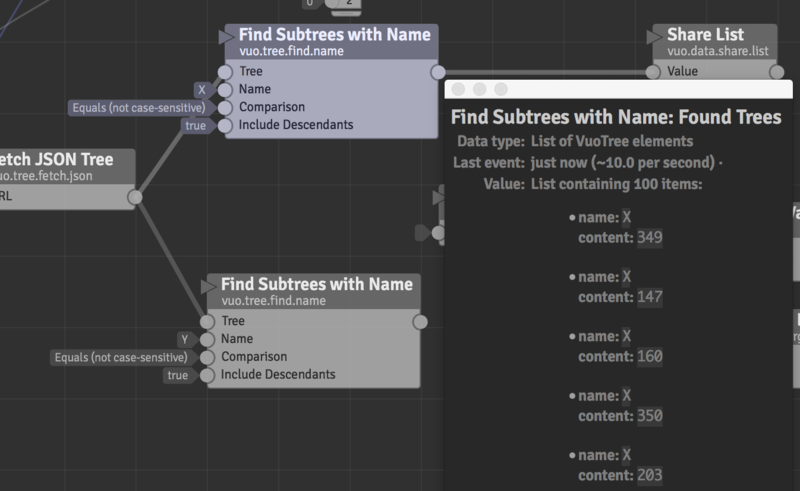 And if Get Tree Content would export a list of values (or a space separated values block of text) we could use that.